February 7, 2019 – San Francisco, CA. San Francisco Dental Implant Center, the Bay Area leader in affordable dental implants, is proud to announce an educational post about inflated prices in the Bay Area and the seemingly high price of dental implants. While considering cheap dental implants might seem an enticing option to a Bay Area resident on a budget, the post explains that settling for shoddy oral work to afford the surgery might not be the only path to take. Several reasonable payment plans can bring the goal of first-rate dental implants into view. The post can be read at https://www.sfdentalimplants.com/blog/do-you-really-want-cheap-dental-implants-in-the-bay-area/. 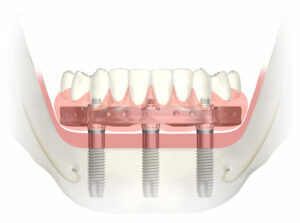 Interested persons can learn more about the dental implants informational page at https://www.sfdentalimplants.com/our-advantage/. People living in, and around the San Francisco Bay Area can also review the companion oral surgery website, which has detailed information on Dr. Rabinovich’s oral surgery services. Here is the background on this release. Bay Area patients may not need to settle for cheap dental implants because, if they investigate, they can find reasonable pricing and payment options are possible for dental implants. If a local has an unhealthy mouth, including bad or missing teeth, cheap dental implants may appear to be the only option. Yet, as the post explains, they may make an inferior choice under budget pressure. Instead of cheap dental implants, the path to quality dental surgery is possible. A highly-rated oral surgeon and support team can help patients secure an affordable payment plan. Bay Area patients could be surprised to learn a variety of insurance and payment options to fit into a monthly budget easily. Living in the Bay Area does not have to mean living with sloppy dentures or broken teeth to stay financially solvent. A patient can bypass cheap dental implants and achieve a quality smile by discovering a reasonable plan for a tight budget. For these reasons, San Francisco Dental Implants has announced a new informational post for Bay Area residents. San Francisco Dental Implant Center is located in the Financial District of the City. Under the direction of Dr. Alex Rabinovich, SF Dental Implants focuses on the placement and restoration of dental implants, and tooth replacement making its team among the most experienced in the Bay Area. Dr. Rabinovich is a Board Certified Oral and Maxillofacial Surgeon specialist in the field of dental implants. This additional training, along with his years of experience, sets Alex Rabinovich MD DDS apart from the growing number of general dentists offering Bay Area dental implant treatments. San Francisco Dental Implant Center serves the Bay Area including Marin County.